Silhouette illustration of Tokyo city in Japan. 图库插图: Silhouette illustration of Tokyo city in Japan. 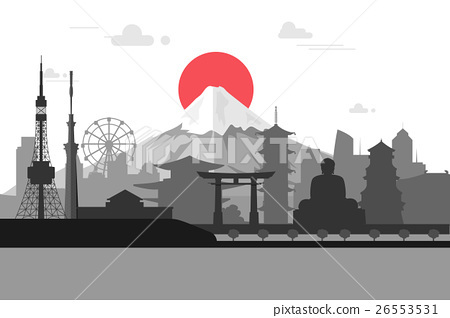 Silhouette illustration of Tokyo city in Japan.Japan landmarks Famous buildings.